I decided to join the Dry Shampoo craze as of late. Just so everyone knows, Dry Shampoo has been around for years and isn’t something that was just invented. I remember in junior high my mom telling me to put baby powder on my hair if it was getting oily. 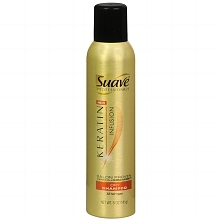 I recently bought the Suave Dry Shampoo Spray from Walmart for $2.88. It comes in a 5.0 oz. spray can and can be found there with the Shampoo & Conditioner isle. Not only does this stuff smell amazing (my husband loves the smell each and every time I use it), but it really does work. I am extremely satisfied with my purchase. I used the dry shampoo for 5 days straight this past week and my hair felt full and clean during each of those 5 days. I used the spray every morning before work, and then again before I went to bed. It was so weird not to literally “wash” my hair for that long! I definitely recommend this to everyone. I wouldn’t necessarily use the product consistently again like I did during my trial run, but this is a PERFECT product to use if you’re in a rush one morning before work and don’t have time to shower or even if you just want your hair to smell amazing! Purchase your dry shampoo today, it’s worth the $3!! It can be found at all your major grocery stores along with various sites online! 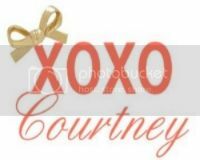 Follow the link to purchase yours today! For us dry shampoo dummies...how do you spray it on? I use this dry shampoo too! I am not a fan of the smell, but you cannot beat the price. I loveeeeee my dry shampoo! I also get the cheap Suave kind and love it.